Hey everybody, thanks for checking out my site. I hope you guys like it. Well, if you don't know yet I'm headed to Minot, ND. That's right; I can't believe it, either! So, I get one more last chance at the marathon. I head up there in January. I'll miss you guys, but it will only be for a couple of months. I hope you guys can handle it. If not just come up and visit. You also need to make plans to come watch the NAIA Track National Championship in Louisville, Kentucky. The marathon, which I WILL BE RUNNING IN is on Saturday May 29th. Hope to see you there! 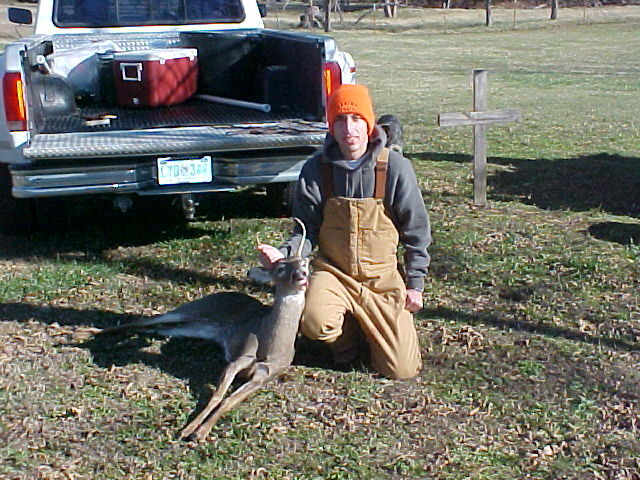 Oh yeah, one last thing, that's my big buck I killed.